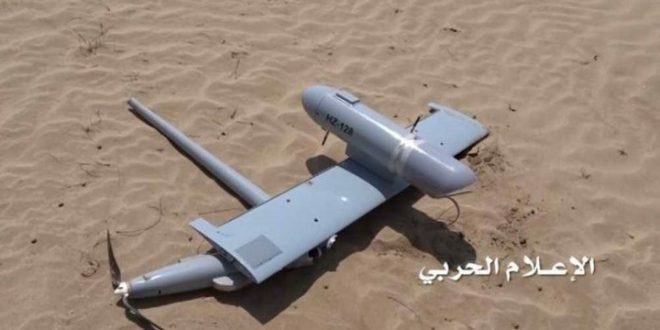 Forces of the Yemeni army and popular committees shot down on Saturday a reconnaissance aircraft belonging to the US-backed Saudi aggression in Jizan. Units of the Yemeni forces successfully dropped the aircraft in the site of Al-Masfq in Jizan, military source reported. In the same context, Yemeni forces had shot down on the 12th of the current month a Saudi spy plane in Jadeed region, Mocha district, southwest of Taiz governorate.